Last week, Sean Genung starting working for us. Sean has spent the last three years working in a machine shop, learning the ins and outs of manufacturing and machining. He ran machining centers, cnc lathes, and a variety of other equipment. Sean has a rock solid work ethic—he ran three machining centers simultaneously and did setups of complex parts, among other tasks, and was one of their best employees. (I know this because I’ve known the owner of the shop for years and he jumped my case for taking one of his best employees). An ex green beret who worked alongside Sean at the machine shop bequeathed Sean the name of “Squatch.” Sean is around 6’ 4” and weighs approximately 230 pounds so he towers over most of the rest of us. 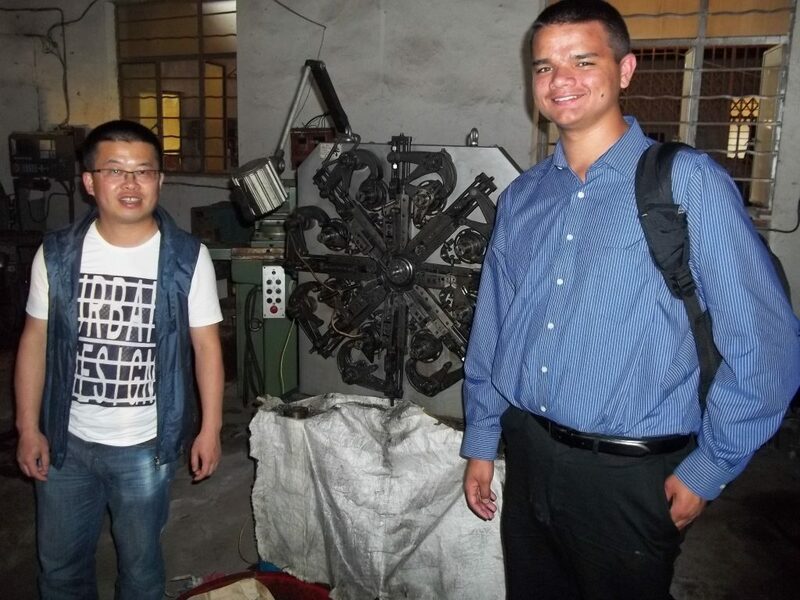 Sean has also been to China with me and visited factories there, learning the ropes with the business culture and what the other side of the sourcing business is about. With his experience in manufacturing and work ethic (it runs in the family, he’s my son) Sean is a great fit for what we’re doing here. When you call in and hit the extension for sales, Sean’s voice will most likely be the one you hear at the other end of the line. Feel free to call Sean Squatch, too. We think the name that green beret gave him is a good fit.